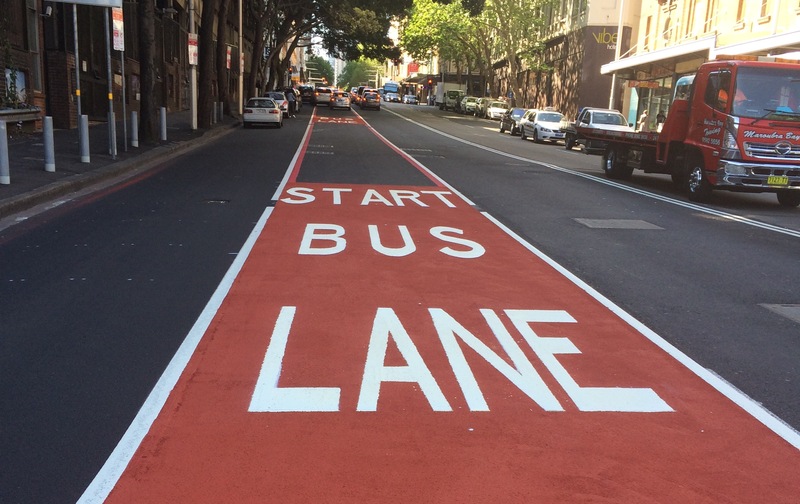 The reduction of Elizabeth St to just one through lane is a sign of things to come for the main arterial connection for the South-East through to the City. Once construction begins on Anzac Parade, from Kingsford through to Moore Park, there will not be a single through traffic lane in either direction. Not one! Currently there are four traffic lanes in each direction. Some stretches go from parking to clearway only during peak times. At intersections however there are always four lanes currently. One lane is for left turning traffic (where applicable), two lanes for through traffic and one lane for right hand turning traffic. 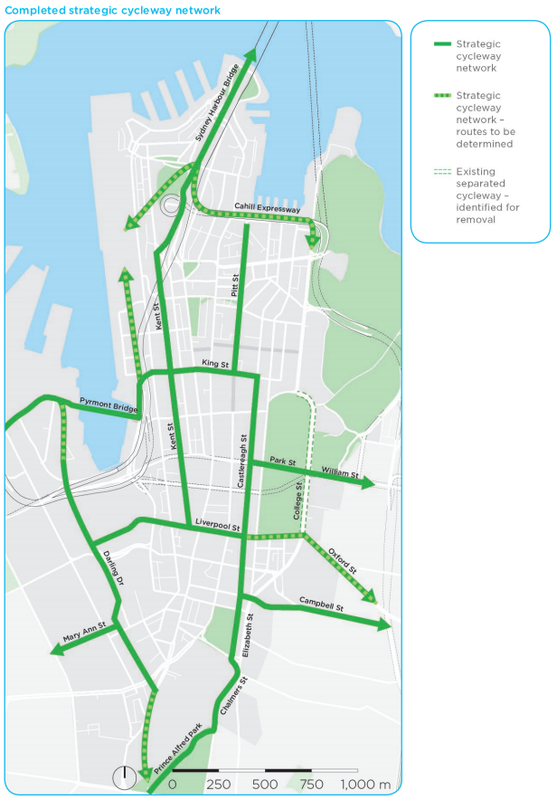 Post construction and in operation – there will no longer be dedicated left hand turn lanes and in most cases (due to Anzac Parade not wide enough) – no dedicated right had turn lane/bay. There will still be bus stops for cross-regional routes such as the 370, 400, & 410 to name just a few. There will be no all-stop services to the City or Central though. So, when the traffic lights go green for N/S flow what happens? No movement in lane 1 as the pedestrian crossing goes thereby stopping any left-turning traffic proceeding. Also buses move up to the bus stop and well, stop to pick up passengers. 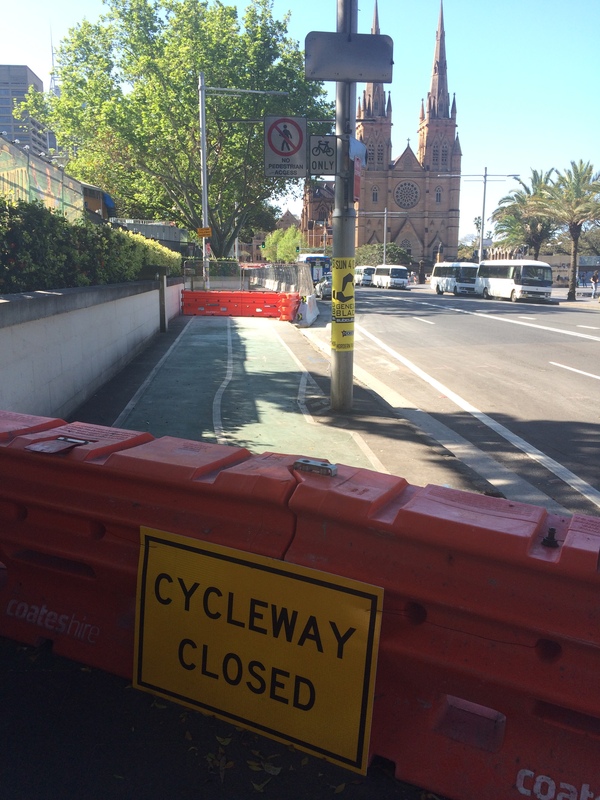 Causing a double impact on traffic flow for 50% of Anzac Parade’s future capacity. Well with 8 of 11 right hand turns eliminated and no room to create more than 5 car right hand turn bays (if at all) then lane 2 traffic will be stopped by the forced route changes for right-turning traffic to by-pass 4 normal right-hand turns to use the only 1 left (heading north from Kingsford). Elizabeth St will be a ‘breeze’ compared with what is coming! The discouragement of traffic during construction, hopefully never to return, may turn out to be of even greater long term benefit than the light rail itself! We can only hope. With the changes to the CBD will parking be allowed on the streets of the CBD? It would be a good opportunity to remove street parking altogether to relieve traffic congestion. Anthony – the shops, cafes. restaurants in the CBD need parking in order to receive supplies. A number of the high rise buildings have reduced the ability for even their own retail tenants to access the underground parking for deliveries. Instead they’ve sold off the spots to businesses leasing the floors above. Similarly, parking is needed (drop off & short term stay) for the hundreds of medical specialists and other professionals operating in the city. What is planned for most of the CSELR route is for 24 hour clearways to operate. In some places this removes the only parking available to houses on the route (such as in Devonshire St, Anzac Parade Kensington, High St Randwick – yes they’re making it illegal to drop off a child at Sydney Childrens’ Hospital). Parking stress is already acknowledged in these areas. So residents (say a family with a baby and a toddler) cannot even stop to drop off the children with a parent outside their house during a thunderstorm. No a mandatory fine. Removal of what little parking exists in the CBD would drive even more small businesses to the wall. What would be good is for the State Govt and SCC to rigidly enforce the rules for Disability Parking Permits – that would reduce traffic somewhat if the rorters couldn’t get free parking.